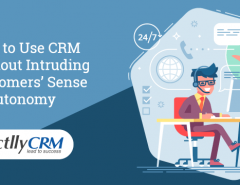 While most businesses have the access to high-speed internet connections, customer relationship management (CRM) tools, and excellent telephone infrastructure, they choose not to optimize their telephone technology. Telephone technology has grown by leaps and bounds and integrating enterprise telephony with CRM is a choice that most businesses do not make. Thankfully, not only is this easy but also opens doors to business opportunities that can quickly take your customer service to the next level. 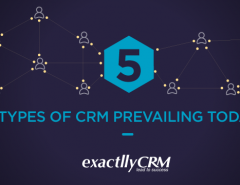 In this article, let us take a look at 6 reasons that should inspire you to integrate your CRM with telephone immediately. Google shows that omnichannel shoppers have a 30% higher lifetime value and it is important to target them across channels in a streamlined manner. Omnichannel marketing helps you to unify all customer communication across social media channels, online and offline stores, and your telephony. Integrating CRM with telephone helps you to provide your customer care executives with valuable call-related data to enhance customer experience. In addition, your customers will not have to explain their problem all over again each time they contact you. This helps your customers to pick up from where they left, and your customer service agents to understand previous issues that the customers may have had. Integrating telephone infrastructure with your CRM helps you to record calls and also analyze call-related metadata. Voice records of customer calls help you to provide better customer service and analyzing call data helps you to derive valuable insights. In addition, such quantifiable data can be used by sales and marketing managers to deliver better campaigns. It is always important to quantify all data sets, and telephone calls are no exception. As telephone instruments themselves cannot process complex data, integrating telephony with CRM is the perfect solution. Often, people feel frustrated when they are not understood and when their problems are not resolved quickly. When telephony and CRM are integrated, call handlers will have access to data they previously didn’t have. This will help them to provide better customer service and resolve customer complaints quickly. Most importantly, call center agents can personalize all communication and ensure that customers are reached out to on the appropriate platform at the right time. Based on previous call metadata and insights from the CRM, you can personalize communication to a large extent. Research shows that customers often feel annoyed when call center agents sound scripted. It is easy to tell when customer service agents are reading from the script or when they utter commonly used phrases. You can avoid this by integrating CRM with telephony and personalizing the way a customer is spoken to. This will help in enhancing customer satisfaction scores and improving your brand image. Most importantly, your customer care team will feel emboldened to be creative during telephone calls thanks to customers insight on their screens. One of the most common reasons why call center agents fumble during conversations with customers is they do not know with whom they are speaking. They do not understand the call history, previous conversations, past queries and concerns, etc. 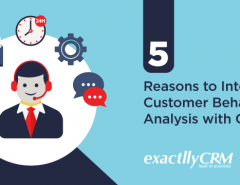 All this data can help customer service agents to better address customer queries. Integrating CRM with telephone is a great way to ensure that customer service agents can view detailed caller history on screen. This simple step can reduce a lot of misguided communication between customer service agents and callers. Employees who handle customer calls are often stressed out and fatigued due to incessant queries, dissatisfied callers, and excessive workload. 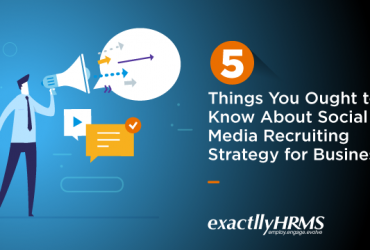 To help your employees get the rest they need, they should be able to address queries quickly and smoothly. Integrating CRM with telephony provides them with valuable information and tools to resolve customer calls quickly and efficiently. This helps them to feel motivated to work and improve their own sense of satisfaction. 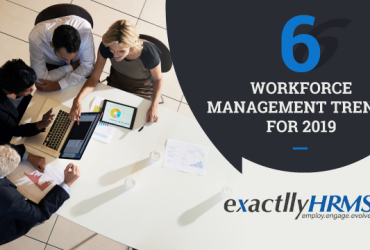 Most importantly, research shows that when employees have access to tools that help them to work efficiently, they feel more inspired to do what they do better. Fortunately, most businesses have begun to use CRM already and integrating an existing CRM with telephone is quick and easy. You can quickly start engaging in omnichannel marketing to ensure a unified customer experience across devices and locations. Second, voice recording and call data help you with rich customer insights. Third, you will be able to personalize all your communication and enhance customer satisfaction. CRM helps your agents to use interactive call scripts and avoid sounding like they have rehearsed dialogues. You will also have a detailed caller history on the screen whenever a customer calls. Finally, your staff will thank you for making their lives easier by integrating CRM with telephony.